Jypyä Pop (Turku, Finland) on 3 May 2015 in Animal & Insect and Portfolio. @Kent: This bird appeared close to the wetland, with a lot of water birds. It was nice to meet it. Lovely capture and beautiful sets of reflections here ! Un bel oiseau... bonne journée ! Very beautiful composition and a superb bird, I have met in France in February. A beautiful photo, thank you for sharing. @Ruthiebear: Me and my friend Moorhen, we are happy your words. Thank you. 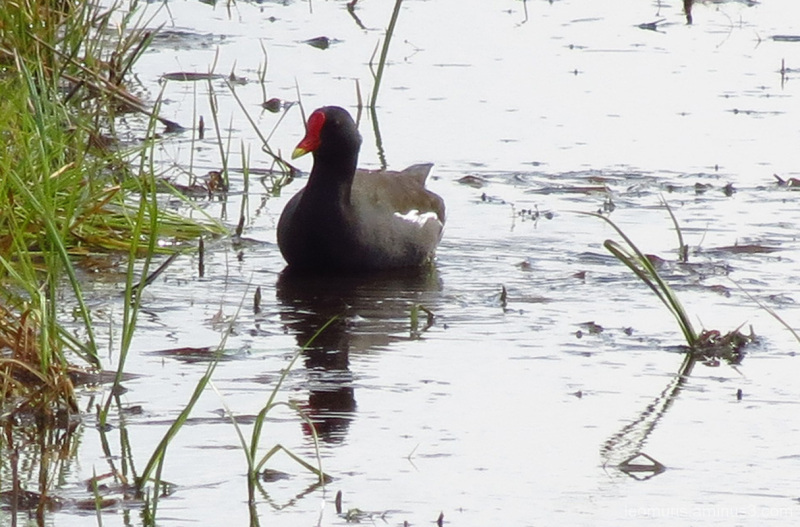 Beautiful moorhen, I didn't know we had them in Finland too! @ursulakatariina: This was Järvelä. I've heard in the past that they have been there, but I have not seen before. I love these moorhens with their red noses. @kiwisa: Also, in my opinion, it is a beautiful bird.